Explore Uganda's mist-covered Bwindi Impenetrable Forest on the edge of Rift Valley, listed as a World Heritage Site due to its unique ecology and biological diversity. 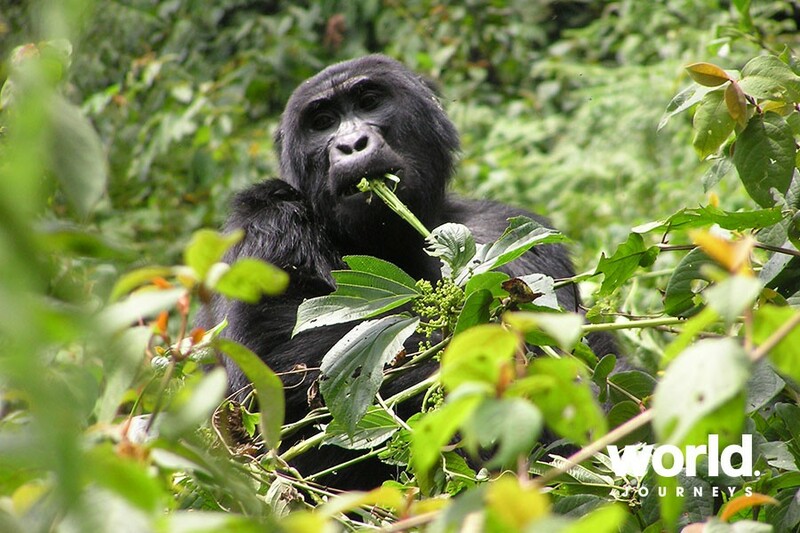 The forest is home to an estimated 400 mountain gorilla's - approximately half of the world's population - and also home to baboons, chimpanzees and many of the planet's rarest birdlife. 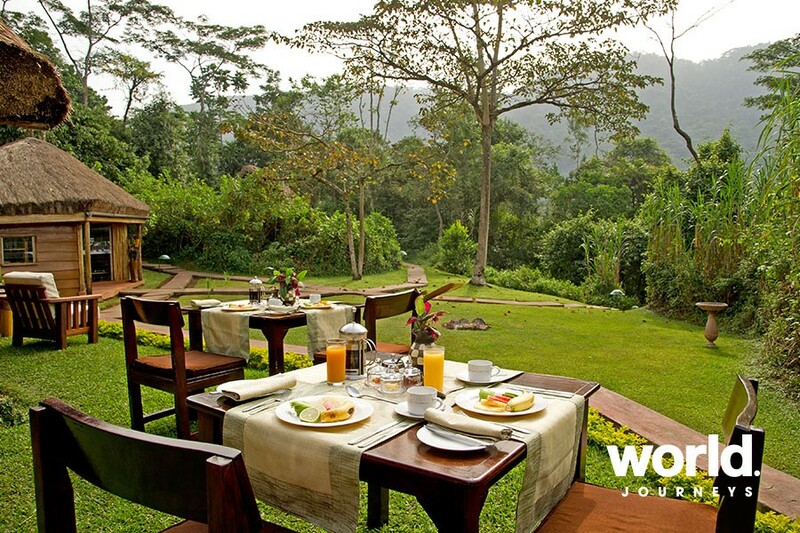 Accommodation options include the Sanctuary Gorilla Forest Camp which is frequently visited by gorilla families, so long hours of trekking may not be required. 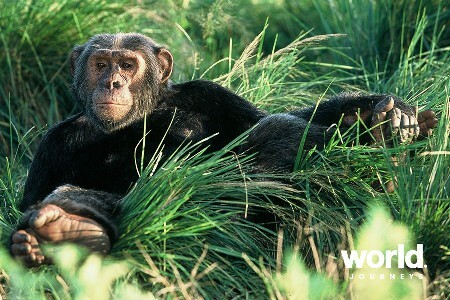 Few animals have sparked the imagination of man as much as the gorilla, the largest of the living primates. 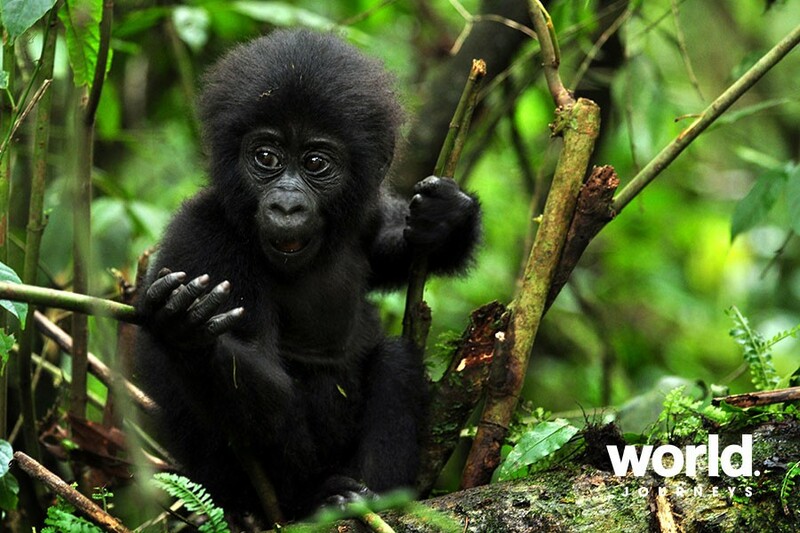 Although strong and powerful, mountain gorillas are generally gentle and shy. Gorillas have strong attachments to members of their own group, which are led by the dominant male silverback. 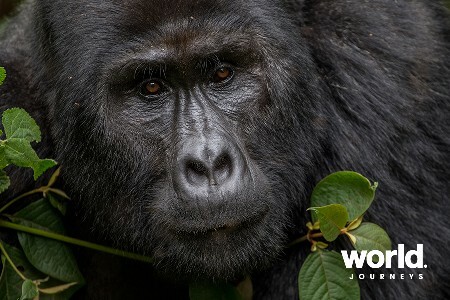 Most gorillas live in inaccessible regions in various dense forests in tropical Africa, and one subspecies, the mountain gorilla (Gorilla beringei beringei), was not even known to science until 1902. The mountain gorilla has a robust build with long, muscular arms, a massive chest, and broad hands and feet. It is the hairiest race of gorillas; its long, thick black hair insulates it from the cold of living at high elevations. Trekking through dense jungle to spend time with a family of mountain gorillas will be an incredible experience, creating memories for a lifetime. 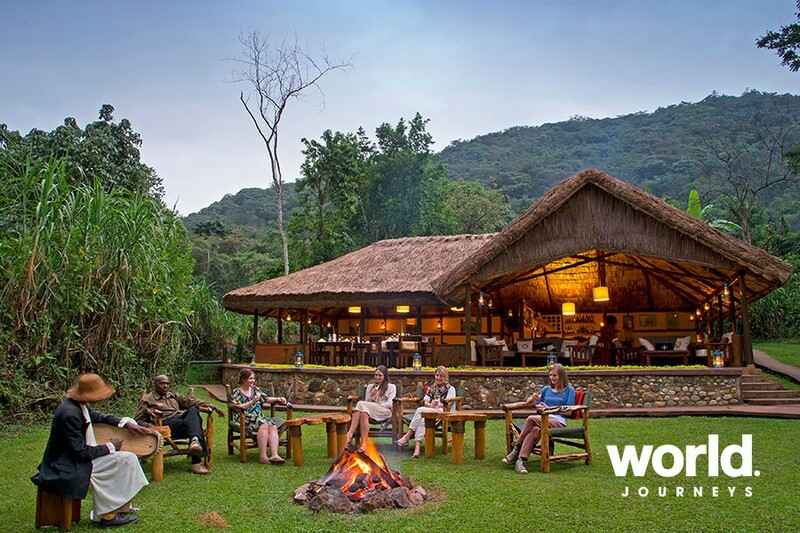 Enquire with World Journeys for this and other opportunities to encounter mountain gorillas. 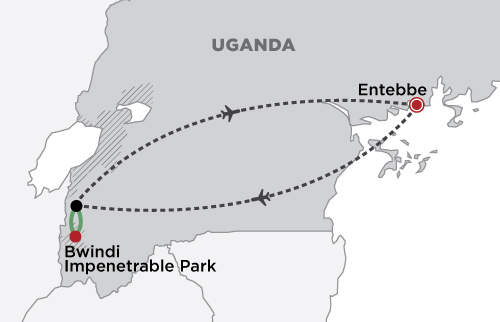 Day 1: Entebbe > Bwindi Impenetrable Forest Fly to Kihihi, and road transfer to Bwindi Impenetrable Forest. 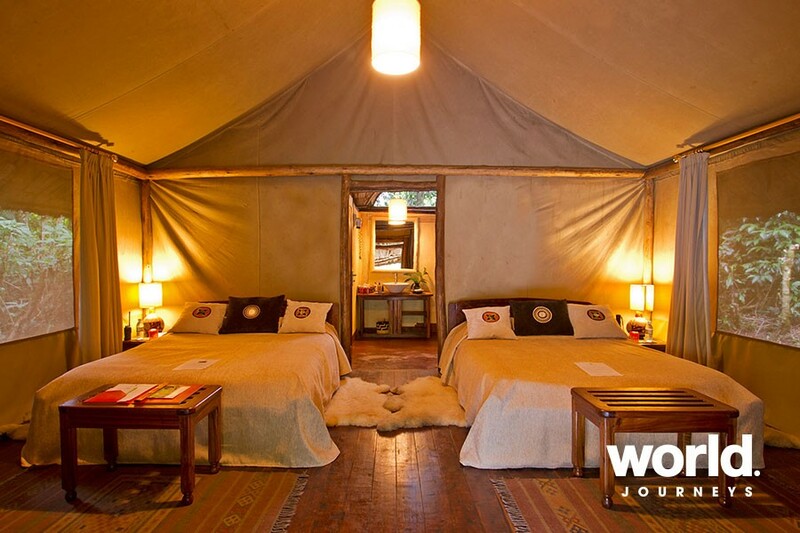 Transfer to your selected Lodge or Camp of choice for the next two nights. 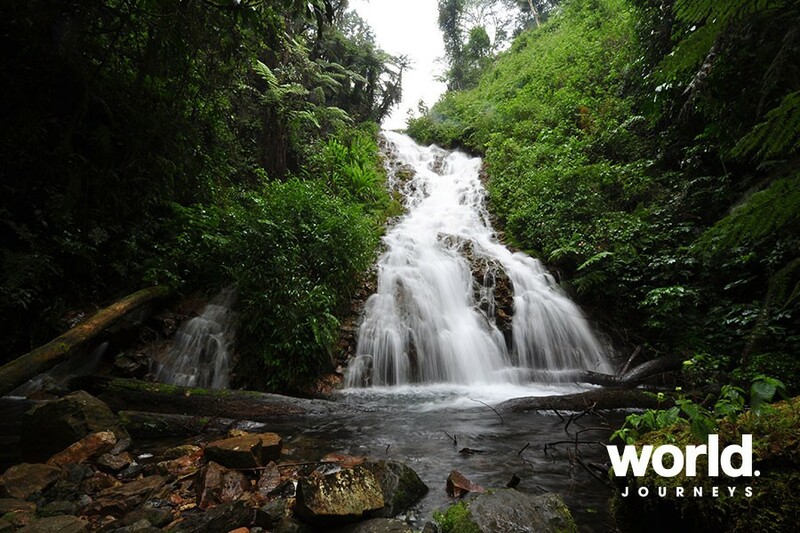 Days 2 & 3: Bwindi Impenetrable Forest An ancient rain forest, the Bwindi Impenetrable Forest extends over a series of steep ridges in the Virunga Volcanoes mountain range. Declared a World Heritage Site due to its ecological uniqueness and biological diversity, the forest is home to roughly half of the world's total gorilla population. With terrain that varies from swamp and bamboo forest to dense thicket, this beautiful area poses both challenges and rewards for anyone interested in an intimate glimpse of the life of these fascinating primates. 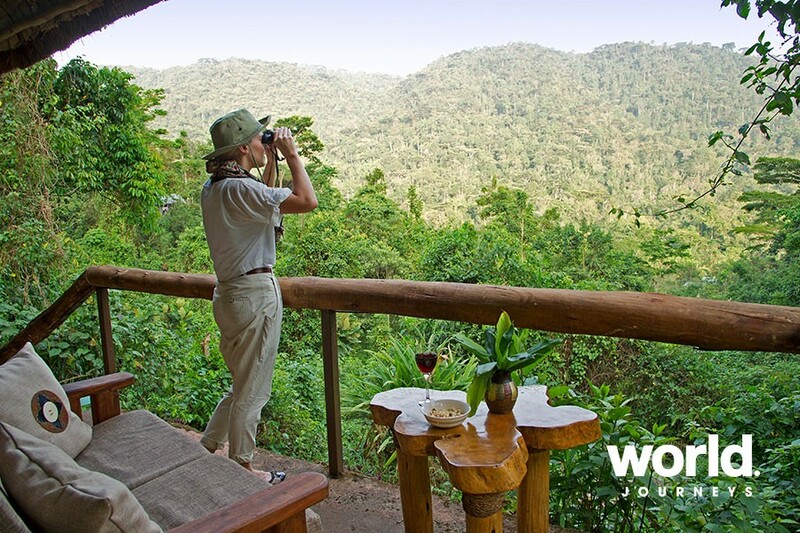 Over the next two days you have a choice of one or two optional pre-booked gorilla treks with expert guides in the Bwindi Impenetrable Forest. Optional village visit and forest walks are also available. Day 4: Bwindi Impenetrable Forest > Entebbe Transfer to Kihihi, to connect with your return flight to Entebbe. Price is based on a minimum of two passengers travelling. Single price is based on travelling with others in your party, but staying in a single room. Buhoma Lodge and Bwindi is some distance over very rough dirt roads from even small towns but was a very interesting encounter with the local villagers. The school children put on a dance performance for us and then dragged us in. The gorilla encounter was even better than we anticipated. Particularly Judy's concern was that sometimes it can take several hours of really hard bush whacking to find the gorilla family. Our party of about 7 or 8 was taken on a fairly lengthy drive to a distant forest entry point where we engaged a porter each and set of into the 'Impenetrable Jungle'. To our huge surprise, we encountered our gorilla family after little more than half an hour. We spent an hour in very close contact with this family group no more than a metre or two away, and at times they came right up to us but this was discouraged by our guide. An amazing and unforgettable experience... Nothing could match this.